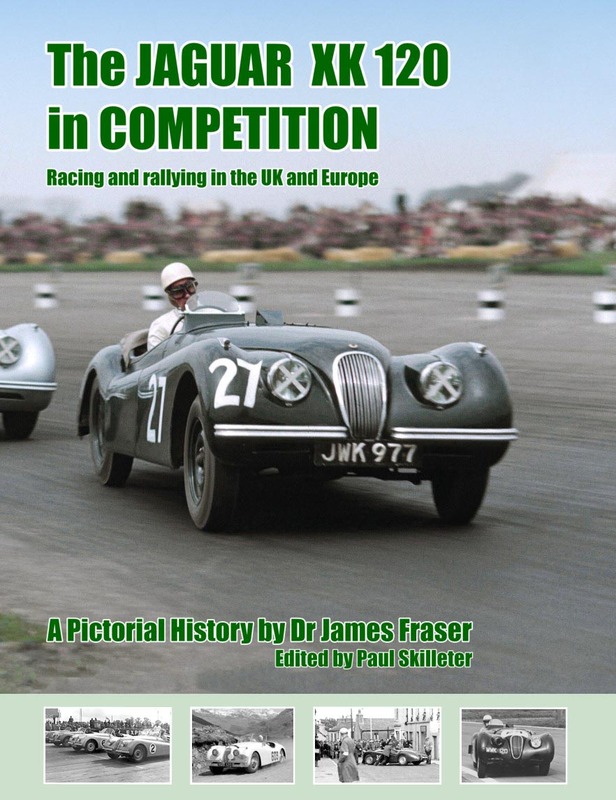 Paul Skilleter Books - Excellence in Automotive Publishing: Buy The Jaguar XK 120 in Competition by Dr James Fraser SIGNED! 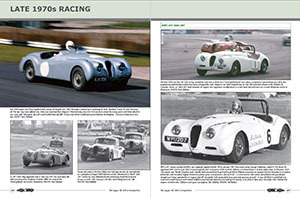 » The Jaguar XK 120 in Competition by Dr James Fraser SIGNED! 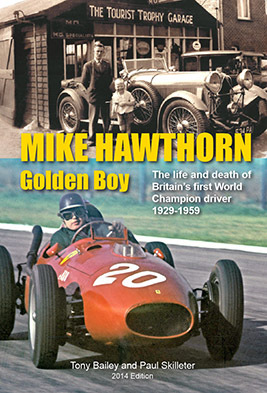 NOTE: standard editions bought from us are SIGNED BY THE AUTHOR and can be ordered now for quick delivery. The Leather Limited Editions will not be available until the end of January due to the need to obtain many signatures. 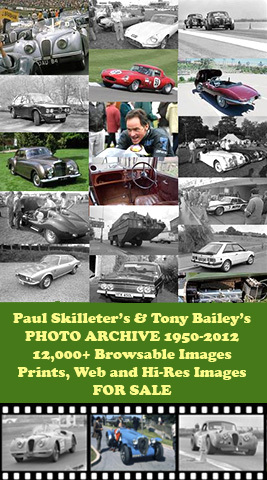 You may still order but the book(s) will not be dispatched until January as above. 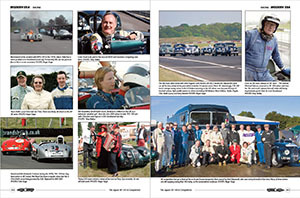 The Limited Editions will be signed personally by Mrs Pat Quinn, eldest daughter of Sir William and Lady Lyons who, as Mrs Pat Appleyard, partnered Ian Appleyard in NUB 120 to win the first-ever Alpine Gold Cup. These editions will also be signed by Mr Robert E. Berry. 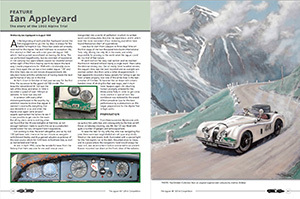 Bob Berry was formerly Sir William's PR man and in the mid-1950s was the quickest XK 120 driver of his time. Other signatures will be those of author Dr James Fraser, and publisher/contributor Paul Skilleter. Please use the purchasing facility at the bottom of this page. Note that PayPal will debit the amount immediately and may do the same for credit and debit cards processed by PayPal. If you would prefer your card not to be debited until we send the book, please place your order by phone on 01425 612669, 9am - 5.30pm. You can leave a message at other times and we will get back to you. 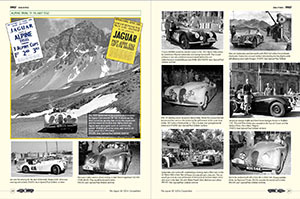 The Jaguar XK 120 was beautiful, extremely fast and uniquely versatile. 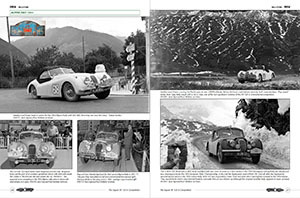 Produced from 1949 to 1954, it was designed purely as a road car but proved competitive in long distance endurance races (Le Mans, the Mille Miglia and the RAC Tourist Trophy), while also dominating the incredibly tough international European rallies of the early 1950s (the Alpine, the Liege-Rome-Liege, the Tulip). 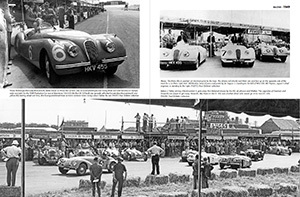 All these events demanded stamina, reliability, good handling and sheer speed, qualities which the 120mph XK 120 proved to have in abundance. Yet it also possessed standards of ride comfort, refinement and ease of driving never seen in an ultra-fast open two-seater sports car before. These exemplary engineering features underpinned its sculptural good looks and allowed it to be equally at home cruising down California’s Route 66 as it was achieving an almost impossible average speed over an Alpine pass. 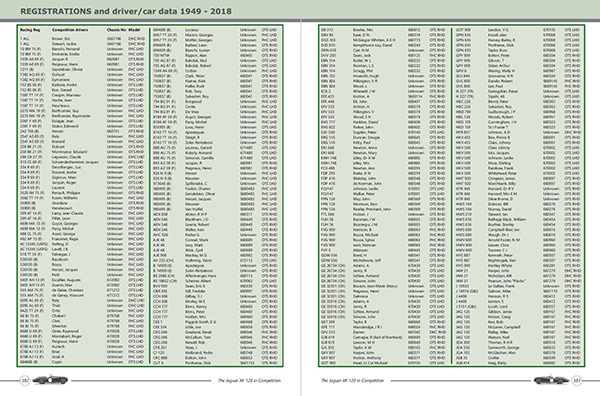 No wonder that it was a huge commercial success in the United States, where along with MG it pioneered the British sports car in that all-important export market. 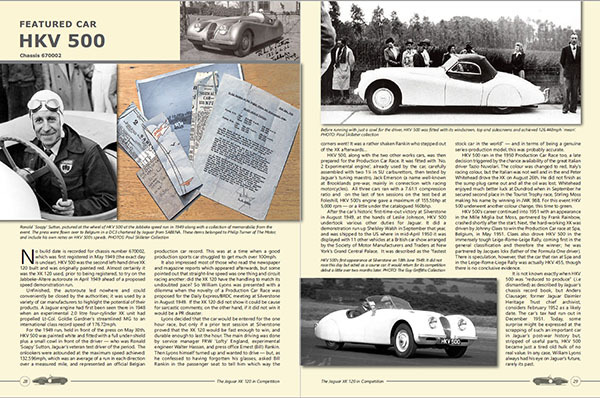 This book is a tribute to (Sir) William Lyons who conceived and styled the XK 120, William Heynes (CBE) who engineered it, and all those drivers and crews who achieved success in almost every form of competition in the UK and Europe. It remains one of the greatest sports cars the world has ever seen. 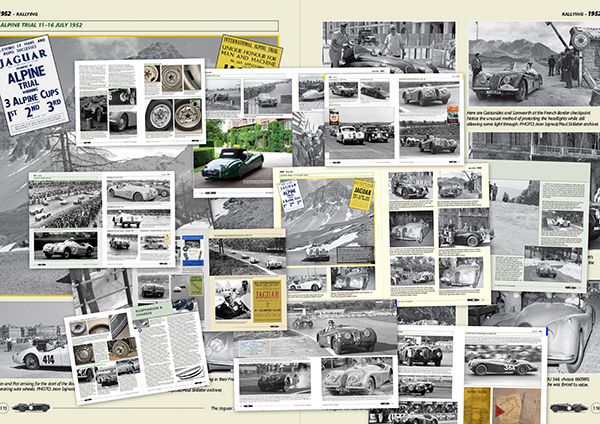 After four years in the making, this will easily be the most comprehensive and informed account of the XK 120’s competition career in the UK and Europe ever compiled. 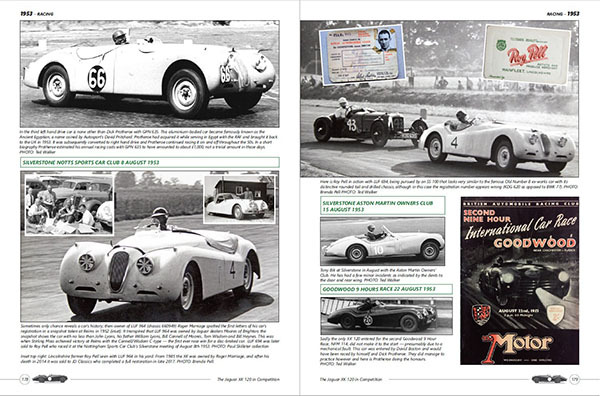 It is mainly pictorial and covers not only the works and famous-owner cars of the 1950s, but also the efforts of amateur drivers over the years. 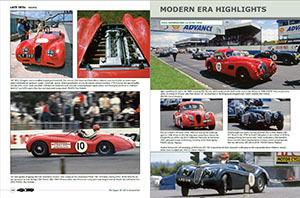 Detailed coverage is extended into the late 1960s and 70s when the XK 120 re-emerged as a highly-competitive historic racer, while the story is brought right up to date with an examination of the XK racing scene in recent years to date. 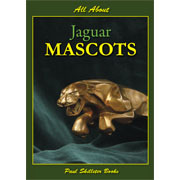 The Foreword is written by Mrs Pat Quinn, the eldest daughter of Sir William and Lady Greta Lyons. 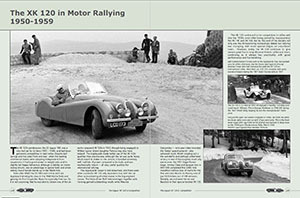 As Pat Appleyard, she and Ian Appleyard took the immortal NUB 120 to many rally successes in the early 1950s, including winning the first Alpine Gold Cup ever awarded for three successive penalty-free runs in the International Alpine Rally. 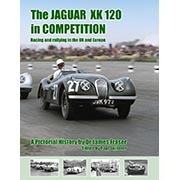 The XK 120 in Competition is written by historic XK owner and researcher Dr James Fraser and edited by Paul Skilleter, with input from David Bentley, Terry McGrath and other leading XK historians. 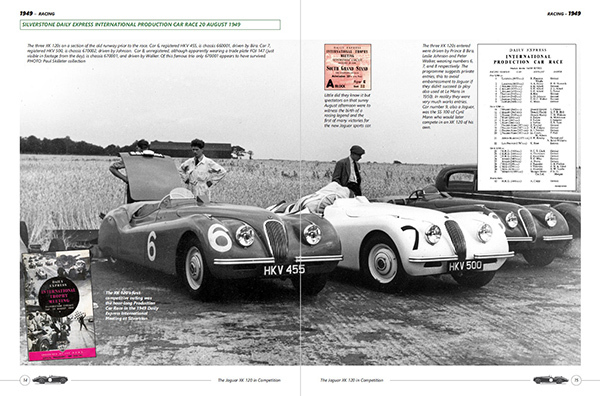 The XK 120 in Competition is in the same large, high-quality format as our acclaimed XK ‘Explored’ series. It extends to approx. 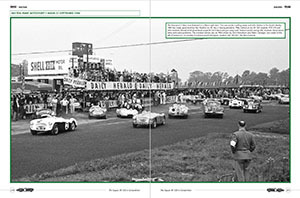 500 pages, lavishly illustrated with some 1,200 photographs. These come from not only the private collections of James Fraser and Paul Skilleter but also from leading photo-libraries worldwide. The majority of these images have never been published before. 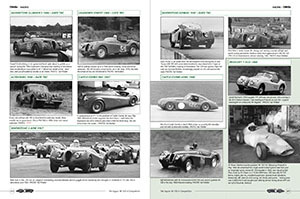 Many hundreds of XK 120s which have competed are identified by registration number, chassis number (where known), and by driver. 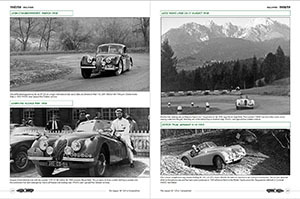 Indeed it is suspected that some owners will not have known until this book is published that their XK 120 had a competition history! 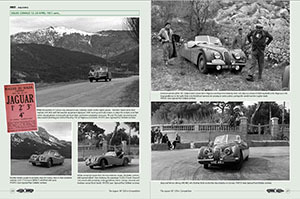 A number of famous or particularly interesting XK 120s are individually profiled, again using many photographs which have seldom, or never, been published before. 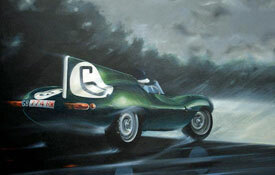 Only 550 Standard Editions will be available for sale at GBP220.00 each plus shipping. 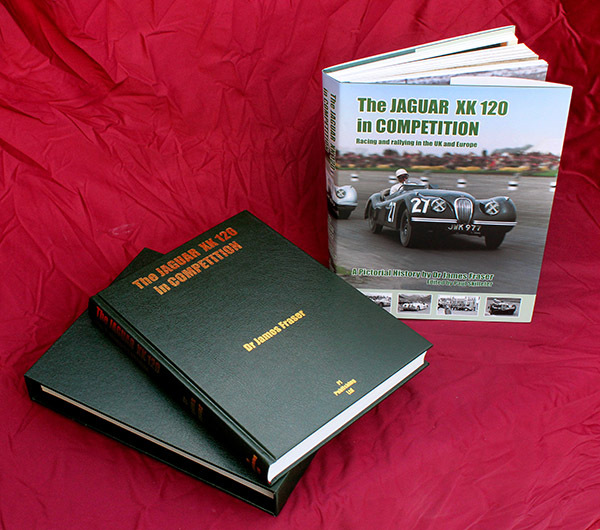 Or, for those who require an even more special book, we are offering a gold-blocked, leather bound Limited Edition in a slip-case carrying a chrome/enamel badge depicting a racing XK 120. Only 120 copies of this edition will be sold. As mentioned above, this book will be signed by Mrs Pat Quinn (formerly Mrs Pat Appleyard), Bob Berry, author Dr James Fraser and publisher/contributor Paul Skilleter. 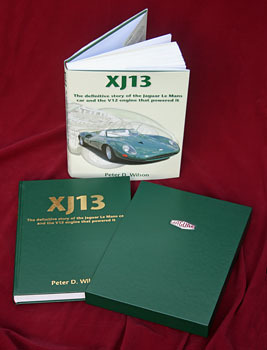 The cost of this edition is GBP395.00, including FREE SHIPPING worldwide. Note that PayPal will debit the amount immediately for this book and may do the same for credit and debit cards processed by PayPal. If you would prefer your card not to be debited until we send the book, please place your order by phone on 01425 612669, 9am - 5.30pm. You can leave a message with contact number at other times and we will get back to you.